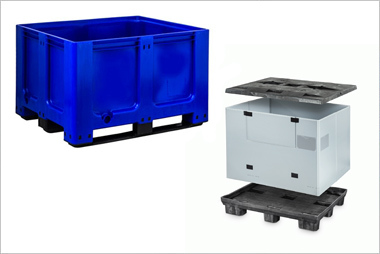 Our Euro Plastic Pallets are reusable, heavy-duty and sustainable solutions for the distribution of raw materials and finished goods. 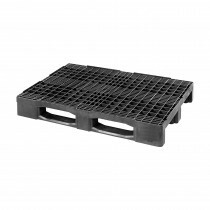 Browse our range of Euro Plastic Pallets. 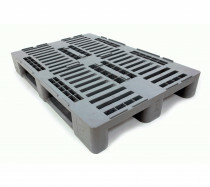 Used extensively across a wide range of industries our Euro Pallets conform to the standard Euro Pallet size of 1200mm by 800mm and share all the key benefits of our other plastic pallets by providing: cost savings, improved efficiency across the supply chain, greater hygiene, whilst also being of benefit to the environment. As market leaders with 20 years supporting a wide range of businesses, we can provide you with a second to none service and no matter what your requirements, we will provide you with the right euro pallet to precisely meet all your needs. 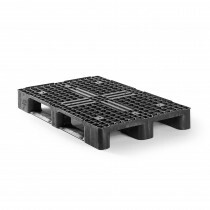 Our Euro pallets come in a wide range of sizes. Selecting the correct euro pallet size and type of pallet is critical for a wide variety of reasons but key considerations are: ensuring maximisation of storage space, reducing your transport costs and ensuring that your goods are handled efficiently throughout the transport cycle. 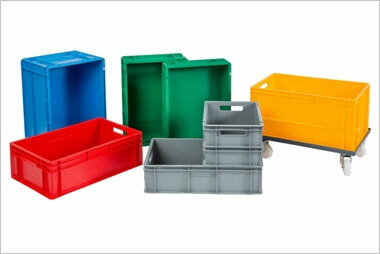 There are numerous benefits to using plastic euro pallets over traditional wooden pallets and as the UK’s leading supplier of plastic pallets we are naturally big champions of businesses swapping to using plastic euro pallets. 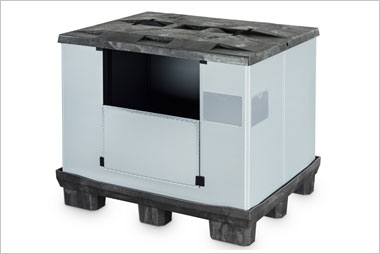 Plastic euro pallets are between 30-35% lighter than traditional wooden euro pallets, thus greatly reducing your shipping costs by reducing weight associated charges. 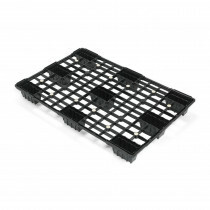 Our nestable plastic euro pallets feature a nine-leg bottom that slots into other pallets. 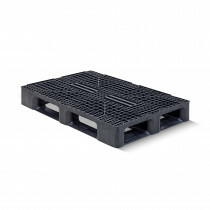 This adds greater stability and also reduces the overall height compared to traditionally stacked pallets. Allowing for more pallets to be stored within a given area. Whilst plastic may not be synonymous with the environment. Plastic is much more durable than wood meaning a much longer lifespan (typically 10 years). 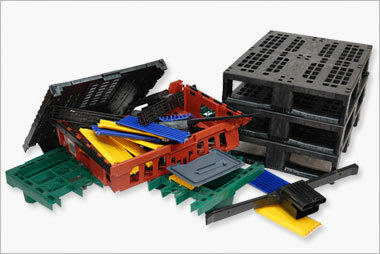 Plastic Pallets are also 100% recyclable, whereas wooden pallets often end up in landfill or on the fire. Wood as a material is very difficult to clean and when they inevitably become wet will actually encourage growth of bacteria and fungus. Plastic pallets can cleaned in a variety of ways such including steam cleaning or chemically sanitization to remove bacteria. They are also resistant to chemicals such as acids and alkalis. Plastic pallets don’t splinter like wood nor do they have sharp edges and nails, reducing the likelihood of damage to goods whilst in transit. 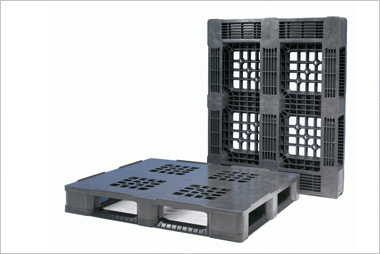 Our rackable plastic pallets are also considerably easier to handle than conventional wooden pallets making them ideal for production or manufacturing industries.